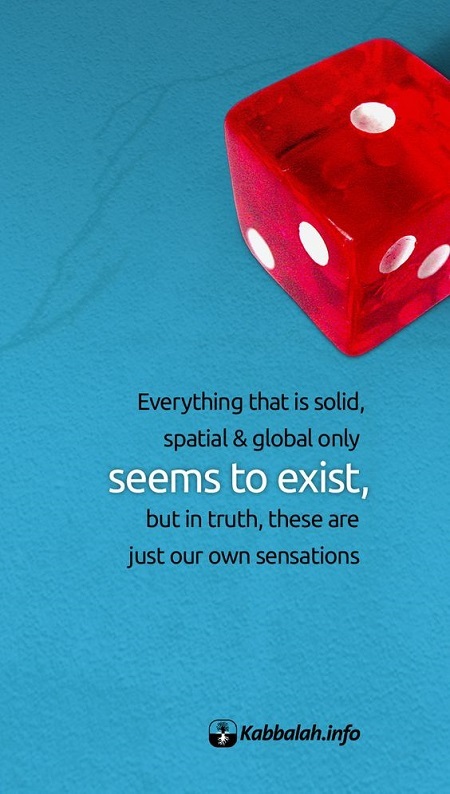 Everything that is solid, spatial & global only seems to exist, but in truth, these are just our own sensations. I always enjoy studying the lessons that I receive in my email. I purchased the Zohar book a few years ago and I still read it. I have to get another one. Also I started reading the Zohar in the window in my bed room with the curtain open using the sunlight to read it. I stopped reading it with light from lamps and ceiling lights.